Hall, Kevin Scott. 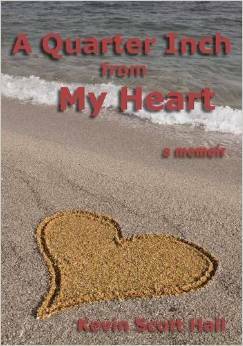 “A Quarter Inch from My Heart: A Memoir”, Wisdom Moon Publishing, 2014. I know the devastation of Hurricane Katrina first hand as I was stranded in my apartment in New Orleans for a full seven days after the storm hit. It is something that I will never forget and it certainly made me evaluate my life. 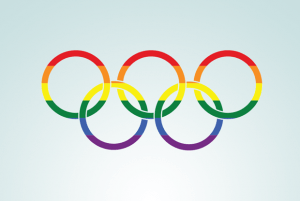 Ultimately, as a result, I got to Boston after having spend seven awful years in Arkansas which is not the place for an out gay Jew. Because of my experiences in Katrina, I felt a kinship with the book before I even got into the story. In “A Quarter Inch from My Heart”, we meet the author, Kevin Scott Hall when he a stranger; Maurice, an evacuee from the storm contacts him and Hall invites him to stay for a while until he gets his life together again. Of course he does not get things together and during 2½ years together, a relationship develops between the two men. However, the more they are together the more Hall has questions about his “guest”. He goes back and forth between trust and suspicious thoughts, tough love and understanding and as time passes Hall begins to introspect about his own life. Yes, this is a love story but not one that we are familiar with. Hall really knows how to tell a story. His descriptions are wonderful and he draws us into the story right away. This is a story of both love and courage and there is a great deal to be learned here. We can learn this by asking questions of ourselves. As many of you know, I read a great deal and I can honestly say that it is not often that I stop to think while reading something. This is one of the books that has made me do so. The ideas are profound and when profundity is united with good writing, we, the readers, are blessed with something really good and believe me, author Hall does this beautifully. It is the brutal honesty with which this book is written that made me sit up several times as I read. Yet with that there is something very entertaining about this book. Hall’s journey is inspiring and for me especially at this time of year when Jews the world over atone for their sins it had a lot to say about self-forgiveness and self-celebration. I do not want to dwell on a summary of the plot here and that is because I understood the plot to be just the conduit for the writer to convey his ideas about the struggle between love oneself and love for another. This is a complex story full of twists ands surprises just like life itself. Here we get a story of frustrated love and the compromises made that sustain a friendship that at times we see was not meant to be. In understand this, the reader is asked to do some introspection that can indeed cause him to become dismayed at what he discovers. The questions we ask ourselves have no cut and dry answers and we realize that questions lead to even more questions and only while experiencing life will we find answers. The lesson, for me, at least, is to continue questioning as we wend our way through the good and the bad that life has in store for us. Having been a philosophy major in college, I could continue these ideas but I want readers to experience them themselves. Let me share a word about the prose—it is gorgeous and this is one of those books that you dare not stop reading once you begin. Hall weaves a story about spirituality, trust, homelessness, love and so much more and it deals with the complicated process of coming out that gay men have to deal with. Hall pulls us into his life and we share his dealing with emotions, specifically with those of love. He recreates the character of Maurice and we share his feelings for the man who changed his life. As Hall deals with the tragedies that come into his life, he takes them on and works with them without pretense. I doubt that I will ever be the same after having read, no, I mean after having experienced “A Quarter Inch from My Heart” but that is ok—we are meant to meet life head-on and I did so as I read this book. This entry was posted in GLBT memoir and/or biography, GLBT non-fiction, Hurricane Katrina on September 26, 2014 by Amos. “Salvage the Bones: A Novel” by Jessmyn West— HURRICANE!!! Ward, Jesmyn. 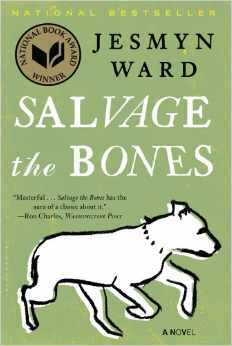 “Salvage the Bones: A Novel”, Bloomsbury USA; Reprint edition, 2012. Esch and her three brothers are preparing for the oncoming hurricane by stocking food. Their costal town of Bois Sauvage is being threatened by the storm that is building in the Gulf of Mexico and Esch’s father is getting worried. He is a heavy drinker and absent a good deal from the home and cares for no one other than himself. Esch is fourteen years old and can’t keep food down which is probably a result of her pregnancy. Her brother, Skeetah, is sneaking scraps for his prized pit bull’s new litter where the pups are dying one by one in the dirt. Brothers Randall and Junior try to stake their claim “in a family long on child’s play and short on parenting”. The novel is set in just twelve days and we meet his family where there is no mother and the children sacrifice for one another as they can, protecting and nurturing where love is scarce. Aside from the storm we are given a look at rural poverty and familial love. The characters are vibrantly alive— the dog, China, the father (who is unable to deal with being and a widowed father of four) and the others. This is a story of poverty and strength, hope and love, climaxing Hurricane Katrina sends the family into the waters and the wind to search for their own salvation from the storm. The days leading up to it were epic and filled with the little things that made life normal as well as preparation for the storm’s arrival. Just like reality, no one expected Katrina to deliver what it did. No one knew when the storm came that it was going to have the raw power it possessed. Caught in the attic, with the storm surge rising, the reality of potentially drowning in their own attic gets the family’s attention, and in a desperate bid to find safety, a hole is smashed through the roof, and their escape is planned. It is a risky plan and it comes with loss, but the family all make it to their temporary haven. This is a powerful story that ends in chaos after Katrina but there is grace and humanity here but it’s not a pretty story. 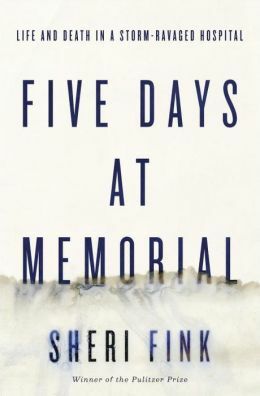 The entire novel leads up to the explosion of Hurricane Katrina, but it focuses on two parallel story lines: Esch and China. Fourteen year-old Esch has been the woman of the house, caring for her alcoholic father and brood of brothers, since her mother’s death years before. She is also pregnant. Esch dreams of the baby’s father who is an older good-looking boy who is unattainable. Esch is sensitive but matter-of-fact and intelligent but foolish and impulsive like any teenager at that age. China is the snow-white pit bull whom Esch’s brother Skeetah treats as lovingly as his own child (even as he trains her to be a fierce fighting dog). China herself has just had puppies, and the novel explicitly links the fates of Esch and China. The novel is honest and raw but as I read I found the characters became part of my life and that could be because I also went through Katrina. I found myself experiencing many different emotions ranging from joy to frustration. This entry was posted in Hurricane Katrina, Uncategorized on May 10, 2014 by Amos. Solnit, Rebecca and Rebecca Snedeker. 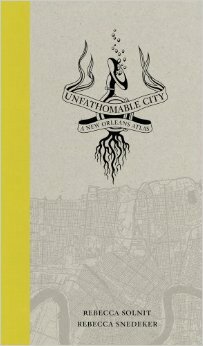 “Unfathomable City: A New Orleans Atlas”, University of California Press, 2013. Being a native of New Orleans, I look for new books about my hometown. There is something that city that makes everyone who is born and raised there a New Orleanian forever, wherever he/she may live. New Orleans is a city with many faces and filled with contradictions which many saw as a result of Hurricane Katrina. This book is a collection of twenty essays written by “geographers, scholars of sugar and bananas, the city’s remarkable musicians, prison activists, environmentalists, Arab and Native voices, and local experts, as well as the coauthors’ compelling contributions”. There are also 22 full color maps of the city. The book explores the various aspects of the city. Through the maps and text we really get to know about the city and her culture. Like the city, the topics covered here are diverse and I find there is a little about everything in the city and some “lagniappe” as well. (In case you are not familiar with that term, it means a little something extra). “Rebecca Snedeker and Rebecca Solnit’s Unfathomable City: A New Orleans Atlas is a book about New Orleans, but it’s also a book about the kind of shared experiences and tensions that could exist in almost any city. Twenty-two maps illustrate ancient and recent histories of the Crescent City, with local tabs that inspire hums of pride. . . . Though many of those labels are specific to New Orleans, the themes they highlight exist in other places, making the book not only a local’s guide to the city, but also an anthropologist’s guide to the idea of metropolis.” (Jeanie Riess Gambit 2013-11-01). This entry was posted in Hurricane Katrina, Uncategorized on January 7, 2014 by Amos. On Thursday, September 20th on PBS, we will get a chance to see an amazing new documentary from Jonathan Demme about what has been happening in the Ninth Ward of New Orleans during the aftermath of Hurricane Katrina. This is the story of Carolyn Parker who, along with other Ninth Ward residents, was told to “Look and Leave” but she decided to “Look and Stay”. What so many do not realize is that there is something about living in New Orleans that holds people to stay in the city and as a former New Orleanian (who did not go back), I totally understand what Parker feels. “When Hurricane Katrina struck New Orleans in August 2005, the hardest-hit neighborhoods were also the city’s poorest. But nowhere was devastation greater than in the Lower Ninth Ward, a neighborhood bordered by the Industrial Canal and the Mississippi River, home to a vibrant African-American community and one extraordinary woman. Several months later, Academy Award®-winning director Jonathan Demme set out to document the devastation and rebuilding of the Crescent City”. When Demme met Parker and spoke to her about Katrina, he quickly saw that what was supposed to have been a political documentary was going to also be a very personal story and a character study of a woman who defied the odds. Parker is a highly opinionated woman and a community activist who was not going to let anyone take her city of New Orleans from her. During five years Demme shot his film and gives us a look at Parker as she worked her own crusade to save her home, her church, her community and her life. This is a true profile in courage. When the levees broke and the floodwater came over them, Parker’s home (some eight blocks from where I lived) and neighborhood went underwater and the people there (like myself) had to be rescued by helicopters. When no trace of Parker could be found, she was pronounced dead in the local media but it later was discovered that she had gone to the Superdome with so many others who had to flee their homes. These people were to become the new homeless population of New Orleans. When Parker was reunited with her brother and her children, she became a voice of the displaced who were all over the United States (I was in Arkansas) and were waiting to go back home. What propelled Parker into the spotlight was her very public rebuttal to the mayor, Ray Nagin, and said that her house would be demolished only over her dead body. Suddenly the world noticed Carolyn Parker and even the president, George W. Bush, heard her words and replied with a simple “no comment”. When the water began to retreat, Parker was one of the first to move back into the Lower Ninth Ward and as she waited for funds to rebuild her house, she lived in a FEMA trailer for four years. Her daughter, Kyrah, came home from college to help her and her son; Rahsaan began to live in the shell of the former family home. Parker immediately began her campaign for the rebuilding of her church which was the only Catholic Church that welcomes blacks when she was a girl. That same church had held the community together and the rebuilding was Parker’s primary concern. Parker became involved in dealing with some get rich-quick tradesman as she was recovering from knee surgery. Her daughter picked out the colors for the remodeling and the family began the task of rebuilding their lives and their home. We get to go on a tour of the house and see the destruction and hear Parker’s memories of New Orleans during segregation; stories that I remember so well (but from the white perspective). Parker was raised poor but she was resourceful. We hear how she and her husband moved into her home, a home that was built on love. After her husband was murdered, Parker raised her family and made sure that they had a stable home life. After Katrina she says that she did not cry like everyone else because she realized that she was alive and her little house was still standing. Starting a few months after Hurricane Katrina, Jonathan Demme follows the strong matriarch from the Lower Ninth Ward named Carolyn Parker as she struggles to rebuild her home over several years. Parker is a retired hotel chef with disabilities yet she makes the most of what she has— a bold sense of humor with a fierce activism and a pervasive spirituality. A few months after the flood waters receded, filmmaker Jonathan Demme met Parker outside her damaged home while he was interviewing locals. From their casual introduction grew this poignant documentary which was filmed over five years of one family’s struggle to rebuild from devastation. Using the personal approach, Demme conducts conversations from behind the camera. We first meet Parker when her house is in shambles and needing new walls, electricity, windows, and more but Parker cannot consider living anywhere else. Over the next several years, Parker’s toiled to save her home and church and we see her as alternately good, mad and beautiful. Demme takes pleasure in Parkers company, whether she is reminiscing about her early days in the civil rights struggle or just cooking dinner. “Parker is a friendly, welcoming and observational woman whose passion for her home and community in the Lower Ninth Ward in New Orleans led to an angry and powerful speech at a meeting about the recovery plan after Hurricane Katrina hit in 2005. After being told about plans to buy out residents and knock down the Lower Ninth, one of the worst hit areas, Carolyn S. Parker is mad as hell, and she lets them know about it. “I don’t think it’s right that you try to take my property. “Over my dead body. I didn’t die with Katrina.” And she did not die—she lived and lives just as New Orleans has returned. Demme successfully shows the viewer an intimate portrayal of how Katrina impacted Carolyn’s family and the reasons why her home is so important to her. 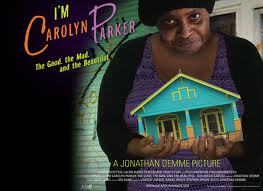 Carolyn Parker is a force to be reckoned with and watching her in action is an inspirational and emotional journey. This entry was posted in Film, Hurricane Katrina on August 14, 2012 by Amos. Brinkley, Douglas. 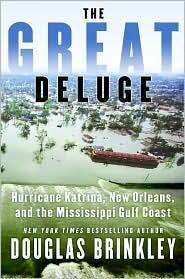 “The Great Deluge: Hurricane Katrina, New Orleans and the Mississippi Gulf Coast”, Harper Perennial, 2006. Six and a half years ago at this time we knew the name Katrina as a beautiful feminine name. Suddenly on August 27, that changed and Katrina became known as one of the great disasters of the world. I know that to be true—I was there—and so was Douglas Brinkley who wrote Katrina’s biography. I have put off reviewing this book because I thought it might be too painful but now that I am sitting down and writing, I realize that this review could become the catharsis I have needed. It is hard for me to believe that it is already two years ago and that I am in Little Rock, Arkansas and not back in New Orleans. Be that as it may, reading about Katrina is not easy but I did notice today at Barnes and Noble that I may be reading about her for a while—it seems there are a slew of new books out about the storm and this is just the beginning. Douglas Brinkley wrote one of the first books about the storm and what a book it is. 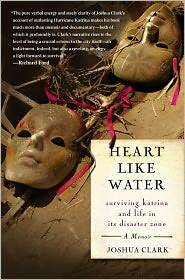 It captures the human aspect of Katrina and gives a close up view of what really went on. Looking back now, I realize that in five hours on August 29, 2005, America changed completely. 150 miles of coastline and one major American city as well as some smaller ones were hit by a powerful storm and it changed the way we look at weather, government, tragedy and each other. Two years later and not much has been done. A half-million homes went underwater, the government mismanaged the entire business and many Southerners lost not only their homes but everything. It is still too soon to have the definitive book on Katrina. The scope of the storm was so large—there was such chaos, denial and misinformation that it will take a long time to sort the entire affair. Brinkley’s book was the first and will probably emerge as the best as it brings us the narrative and gives the big picture. Reading “The Great Deluge” forced me to remember a lot of what I had chosen to forget. As I read the book I became literally numb but hopeful. Brinkley writes of the heroes and the good guys. This shows me exactly what Anne Frank said that people are basically good. There is a great deal of background in the book and it thereby provides ways to achieve a greater understanding of what happened. It was hard for me to know what really went on as I had no access to the outside world as I looked out of my fourth floor window and watched the waters rise as New Orleans sunk beneath them. Brinkley gives a far and unbiased look at what went wrong and it is harrowing to read. His book is well researched and his tales of heroism are amazing. The book s based primarily on first person accounts and media reports. He also conducted intensive interviews with many survivors. There are tales of terror and stories of valor. There is also the author’s analysis of what happened but I am not sure that this is accurate as the book was written very early after the storm. Brinkley lets us know where his own sympathies lie. There are mistakes as we would expect there to be but by and large, this is one of those books that I could simply not put down. Here is a great book that should be read by every American. The writing is fluid and rich in detail and Brinkley breathes life into New Orleans. Here is a story of struggle, redemption, survival and struggle. This entry was posted in Hurricane Katrina, Uncategorized on November 9, 2011 by Amos. Herren, Greg. “Murder in the Rue Chartres”, Alyson, 2007. 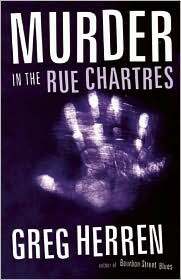 As a New Orleanian by birth and having experiences Hurricane Katrina first-hand, I was anxious to read Greg Herren’s “Murder in the Rue Chartres”. I have always enjoyed Herren work and I did once again. It just hurts to read about my hometown while I am located somewhere else. Herren gives us a view of New Orleans that is amazing, deep and sensuous and this novel is fast moving as it shows the French Quarter in all of its gay glory. It’s good to have Greg Herren back writing about the Big Easy. Herren has introduced us to his gay detective, Chanse MacLeod, in other books—“Murder in the Rue Dauphine” and “Murder in the Rue St. Ann. After Katrina, MacLeod returns to a different New Orleans. The city and the man have both been shattered and in need of rebuilding. Chanse has come home to rebuild himself but he soon discovers that Iris Verlaine who had been his last client before the hurricane was murdered the same night that she had hired him to locate her father who had been missing for quite a long time. Chanse feels both compelled and obligated to solve the murder and he soon finds himself completely taken in by the Verlaine family and a web of intrigue and secrets. It seems everything in the family is tainted with blood. With the city of New Orleans as a backdrop to the story the book gives us a wonderful mystery as well as an in-depth look at one of America’s most famous cities. We see a different New Orleans than most of us have known and it is a sad but vibrant picture that Herren provides. He tells it like it is in the way we like to read. Here is another wonderful mystery that will keep you guessing as well as providing an inside look at the damage that occurs because of a natural disaster. This entry was posted in GLBT fiction, Hurricane Katrina on November 3, 2011 by Amos. Inglese, Demaree,M.D. with Diana G. Gallagher. “No Ordinary Heroes: 8 Doctors, 30 Nurses, 7,000 Prisoners and a Category 5 Hurricane”, Citadel Press, 2007. It has been six years since Hurricane Katrina hit the Gulf south and the books are rapidly hitting the shelves. 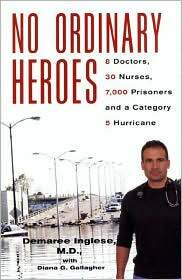 I have read most of them but I must say that “No Ordinary Heroes” is one of the most compelling stories about the killer storm. It is also the story of an event that I do not recall having heard much about. Here is the sage of true heroes—ordinary people—who put others above themselves and their own safety and exhibited a courage we do not hear about often. Inglese tells his story with much detail and compelling prose. Between August 26 and September 2, 2005, the city of New Orleans and the doctor went through an experience that no one expected. The prison officials had refused to evacuate the inmates and a disaster followed. The jail soon flooded and it became an island in a city that Katrina had crippled. There was neither water nor power, little food and the conditions became worse minute by minute. The temperature constantly rose and the conditions became unbearable. No help could come in, people became ill, the deputies who were marooned there became irritable and order was soon lost. Inmates were eager to escape and riots began, buildings were burned and decal emergencies all combined so that the storm within the prison began to rival the storm outside the walls. It was a few people who managed to attempt to keep order. Dr. Inglese struggled to keep his wards alive for a week after the levees broke. He had determination and organizational strengths and he did manage to get his staff to rally and it was their professionalism that saved many lives. Bringing the human side of the tragedy to life is what this book does even if it is written in the common tongue. Reading of swimming through sewerage and facing desperate prisoners makes one realize how lucky we were to get out when we did. Deadly snakes and psychotic inmates, rioting prisoners, no medication or food are enough to make one give up but the doctor did not. We read of inspiration and heroism in a time when most were afraid. The book reads like a thriller and what happened in those seven days is the stuff that legends are made off. You not only read this story, you live it as you read and I know that I, for one, will never be the same. This entry was posted in Hurricane Katrina, Uncategorized on November 3, 2011 by Amos. This entry was posted in Hurricane Katrina, Uncategorized on October 28, 2011 by Amos. Cooper, Anderson. “Dispatches from the Edge”, Harper, 2006. Anderson Cooper is one of the most respected and watched journalists who works today. His careful and insightful coverage of two major tragedies—the Asian tsunami and Hurricane Katrina caused him to become a celebrity in the world of media. In “Dispatches from the Edge”, his powerful written record, he tells us how he got to where he is and his struggle with his own personal tragedies—the death of his father when Anderson was ten and his brother’s suicide. He was born into wealth and societal status; his mother is a Vanderbilt. He had always wanted to be a reporter and he left home to pursue that career. He learned early to deal with major tragedy and how to show it to others. He is direct and he is unsentimental but his coverage of Katrina and his personal involvement is what made him a household name. None of us will ever forget how he broke down while covering the storm. He is a man of vast emotion who is not afraid to share it with the world. As his publisher says he is “the prototype for a twenty-first century newsman”. He no longer just covers a story; he is part of the story. He is distinctive and pleasant to watch, his voice is clearly recognizable, he is handsome. He is also a very talented writer who supplies with images and phrases that allow us to get a grasp of the larger picture. He is very good looking and very serious about his work. Cooper writes straightforward prose which is filled with passion. 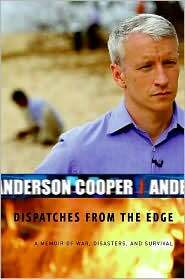 There is obviously more to Anderson Cooper than we see. Harboring his memories of his own suffering, he shows us that he also has a life outside of his profession and it is this life that allows him to relate to the pain he reports about. The only pretty thing about this book is the writing. It is otherwise a very raw picture as it deals with national and international tragedies. Cooper describes them with brutal honest, sometimes even sounding vulgar but vulgarity s what is needed when looking at the American government’s response to Katrina (I was there and believe me I know). Anderson Cooper manages to paint portraits of the world tragedies he has covered. He allows us to feel his sufferings and makes us realizes just how lucky we are to have him and all else that we have when so many people in the rest of the world are without so much. When I was living n a shelter after Katrina forced me to leave New Orleans, it was Anderson Cooper that told me what was happening in my native town. I was shocked and outraged but I knew what he said was true. It hurt me to hear him tell of the corruption of the city officials and the national government and I wept with him when he showed the world the devastation wrought by the storm. His honesty helped me to come to terms with what I was feeling and it also made me realize that I would not go home again. My feelings of emotion and loss seem to come out of Cooper’s mouth. He showed us what we ordinarily do not see on the news and Cooper is an amazing man. This entry was posted in Hurricane Katrina, Uncategorized on October 24, 2011 by Amos.